The Duomo di Parma or Parma Cathedral, located in the heart of Parma, Emilia-Romagna, is an important 12th-century Romanesque cathedral filled with Renaissance art. Its ceiling fresco by Correggio is considered a masterpiece of Renaissance fresco work. A basilica probably existed on this site as early as the 6th century, but it was later abandoned. Another church had been consecrated in the rear part of the preceding one in the 9th century by the count-bishop Guibodo. Construction on Parma's present cathedral began in 1059 by bishop Cadalo (who later became the antipope Honorius II) and was consecrated by Pope Paschal II in 1116. A year later, the new cathedral was badly damaged by an earthquake and required much restoration. Remains of the original building can still be seen in the presbytery, the transept, the choir, the apses and in some sculpture fragments. The new, wide façade was completed in 1178; its doors were sculpted by Luchino Bianchino in 1494. The Gothic belfry was added later, in 1284-1294: a twin construction on the left side had been conceived, but it was never begun. Beside the Cathedral lies the octagonal Baptistry of Parma. The wide facade (from 1178) features three loggia floors and three portals, whose doors were sculpted by Luchino Bianchino in 1494. There are four reliefs by Benedetto Antelami, from 1178. Two great marble lions support the archivolt columns, carved in 1281 by Giambono da Bissone. Between the central and the right doors is the tomb of the mathematician Biagio Pelacani, who died in 1416. The interior has a Latin cross plan, with a nave and two aisles divided by pilasters. The presbytery and the transept are elevated, to allow space for the underlying crypt. Along the nave, in the lunettes above the spans are monochrome frescoes of Old Testament stories, as well as event of the passion. This culminates in the apse cupola, frescoed with Christ, Mary, Saints, and Angels in Glory (1538-1544) by Girolamo Mazzola Bedoli. In the right transept is the Deposition by Benedetto Antelami (1178). The most famous work of art in Parma Cathedral is the Assumption by Correggio in the central cupola. Painted in 1534, the fresco features the Virgin Mary ascending through a sea of limbs, faces and swirling drapery. The imagery of the Assumption has been met with some bemusement over the years, with a contemporary comparing it to a "hash of frogs' legs" and Dickens commenting that the scene was such that "no operative surgeon gone made could imagine in his wildest delirium." Tradition has it that Correggio was paid for the painting with a sackful of small change, in order to annoy the miserly artist. The story goes that he went home with his sack of coins in the heat, caught a fever, and died at the age of 40. The side chapels were built to house the sepulchers of the noble families of Parma: two of them, the Valeri Chapel and the Commune Chapel, have maintained the original decoration from the 14th century. Particularly noteworthy are the Romanesque capitals, also in the exterior: many of them are characterized by rich decorations with leaves, mythological figures, scenes of war, as well as biblical scenes. The 15th century frescoes in the Valeri Chapel are attributed to the studio of Bertolino de'Grossi. Those in the Capella del Comune, presumably by the same hands, were painted after the plague of 1410-11, and dedicated to Saint Sebastian. The Ravacaldi chapel has frescoes attriguted to the studio of Bertolino de’Grassi. The sacristy contains works attributed to Luchino Bianchini (1491). The crypt houses fragments of ancient mosaics which show the presence here of a cult temple from at least the 3rd or 4th century AD. The crypt also has a monument to Saint Bernardo di Uberti, bishop of Parma 1106-1133, patron of the diocese. The monument was executed in 1544 by Prospero and Girolamo Clementi on design of Bèdoli Mazzola. 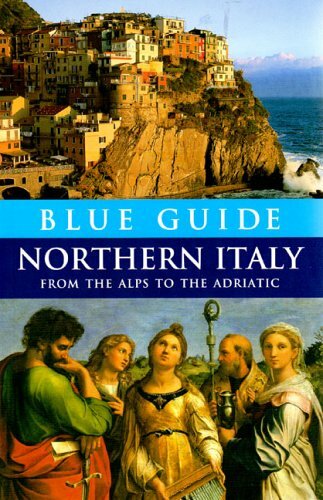 The Rough Guide to Italy 7 , 450. Below is a location map and aerial view of Parma Cathedral. Using the buttons on the left (or the wheel on your mouse), you can zoom in for a closer look, or zoom out to get your bearings. To move around, click and drag the map with your mouse.